Use the form below to contact accommodation Villa Romanca directly. 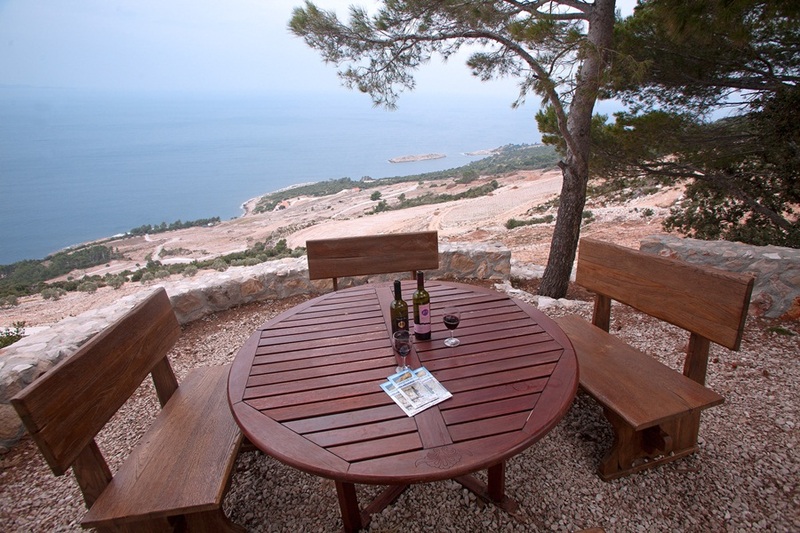 Villa Romance is situated on the Peljesac peninsula in one of the most beautiful corners of Croatian south. It is a luxurious traditional Dalmatian stone house, located in the unique landscape and it reflects the authentic atmosphere of this beautiful region. It is situated only 30 meters from the sea and surrounded by beautiful vineyards and a breathtaking vantage point. 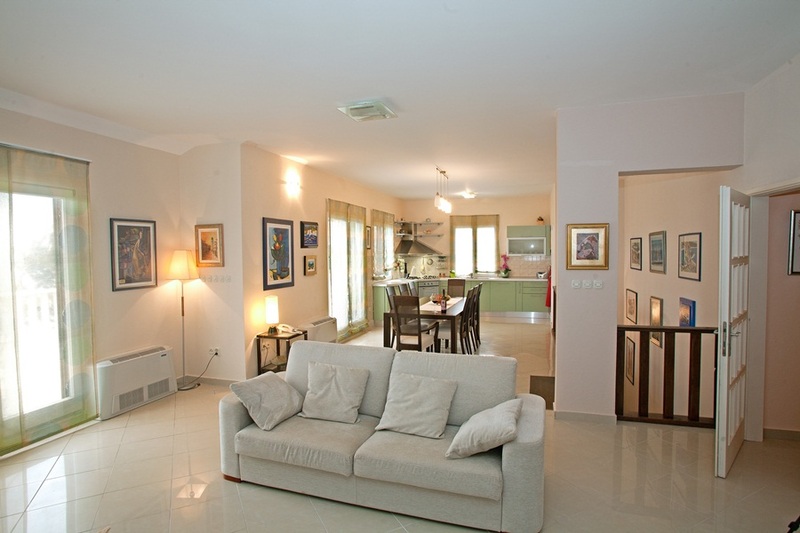 Villa Romanca has a surface area of 350 m2 on 2 floors (ground floor and first floor). The ground floor offers a magnificent view of the crystal clear water. 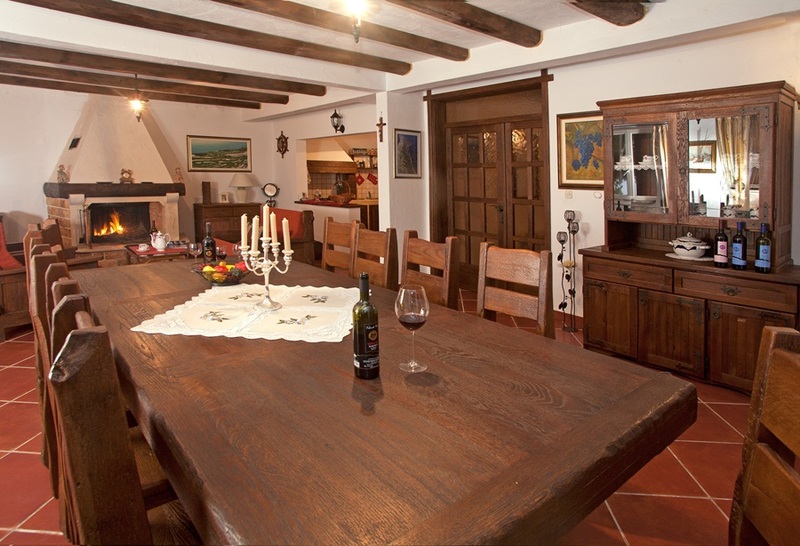 It has a fully equipped rustic style kitchen and an elegant dining room with beautiful wooden furniture and a fireplace. The first and second floor are connected by internal wooden staircase. On the first floor there are three spacious bedrooms each with a large double bed and an en suite bathroom. Villa Romanca has a spacious terrace offering a breathtaking view of the sea and islands in the distance. The garden grows lush vegetation and there is also a beautiful and spacious vineyard with 140,000 grapevines. A beautiful private beach equipped with an outdoor shower is only 30 m away. Across the Peljesac channel (Pelješki kanal) from Korcula is the Peljesac peninsula. On the hills above the sea, you will see abandoned villas and gardens, stone walls, a trace of the past. Lemon, fig, herbs and wildflowers surround the villages gardens and fields on the Peljesac peninsula. The dry terrain is covered with macchia. The whole Peljesac peninsula has about 2700 residents where 700 inhabitants live only in Ston. Ston was a military fort of the Ragusan Republic whose defensive walls are among the most famous in the world: there is a 900 meters long town wall and 5 km Great Wall outside the town. The walls extend to Mali Ston (Small or Little or Ston). 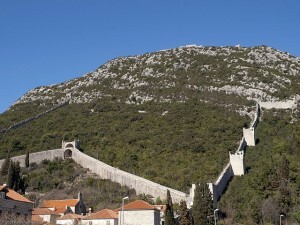 Ston walls are the second longest defensive walls in the world, the longest after the Great Chinese wall. Ston is one of the first and most beautiful examples of a planned town architecture. Ston was founded in 1333. 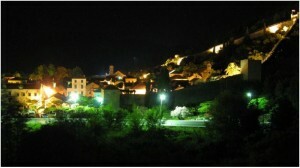 The town was fortified by 980m long walls, forming an irregular pentagon, with more massive towers on the corners. In the past, Peljesac had economic value for the Republic. Dubrovnik Republic wanted to include Peljesac peninsula in its territory. Peljesac was especially valued for its salt pans dating back to the Roman empire and its vineyards. The local restaurants offer domestic specialties, especially world famous oysters as well as other seafood. If you come on Pelješac, you have opportunities for wine tasting. 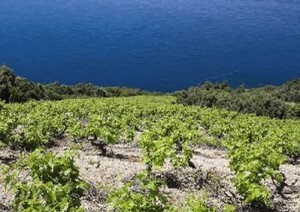 The most famous Pelješac wine is called Dingac. The only wine that can be called Dingac is grown only in Potomje, Dingac region. Today, visitors come to climb on walls and look the Adriatic Sea. Peljesac offers opportunities for outdoor activities, especially if you prefer a good beach. Peljesac has more than sandy beaches: Trstenik, Prapatno, Trstenica beaches are very clean and popular. In Ston, you can enjoy in cafe, restaurants, taste domestic specialties, especially world famous oysters, as well as other seafood. If you would like casino or something more, you can go in Dubrovnik. Ston walls are the second longest defensive walls in the world. The Great Chinese wall is the first. The most massive fortress of Ston, Veliki Kastio, rises on the south-western corner. There are several old churches near Ston, but most of them are in ruins now.